A lot to go over this week so please read all the way to the end of the newsletter. You may have noticed that two street signs in Eagle Point have been retrofitted to a new style green with white letters. This is part of a Federal mandate being enforced by the Shelby County Highway Department to standardize signs. This mandate falls under the MUTCD (Manual on Uniform Traffic Control Devices). Whether Eagle Point residents are in agreement or not, eventually all street signs in Shelby County will be updated (including ours). We are taking a proactive approach to retain the decorative posts that were purchased in 2007. Additionally, we are freshening up the paint and evaluating a solar light on one to help with visibility. 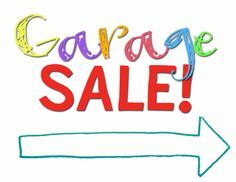 The Eagle Point Garage Sale is this Saturday, September 29th from 7AM-2PM. Make sure you spread the word to your family and friends. Dont forget to stop by the store and pick up the red balloons for your mailbox. Hopefully, you have cleaned out your closets, basements/garages and have a lot of nice treasures to sell. The dumpsters will also return this Friday, September 28th. Dumpsters will be located in the cul de sac of the EP office building at 4000 Eagle Point Corporate Drive. Whatever items you cannot sell or need to dispose of, bring them to the large dumpsters. Please allow the truck driver to set the dumpster down on the ground before circling and tossing trash in the dumpster! Have a GREAT weekend and hopefully many will make some extra cash!! !